Does the budget signal and end to austerity? “the era of austerity is finally coming to an end“. However, while the Chancellor did certainly loosen the purse strings, his bold pronouncement may be a little premature. Mr Hammond’s Budget Speech delivered on 29 October was designed to change the government’s tone with regards to tax and spending. Specifically, he signalled a tax giveaway by announcing an increase in the personal allowance threshold to £12,500 and a rise in the higher rate income tax threshold to £50,000 from April 2019. Both moves are being introduced a year earlier than planned. In addition, the Chancellor announced that work allowances for Universal Credit are to increase by £1,000 per annum, and that the National Living Wage will rise from £7.83 to £8.21 an hour in April 2019. Mr Hammond also confirmed the extra £20.5bn previously pledged for the NHS over the next five years, along with other smaller spending commitments covering a range of areas from schools and defence, to potholes. 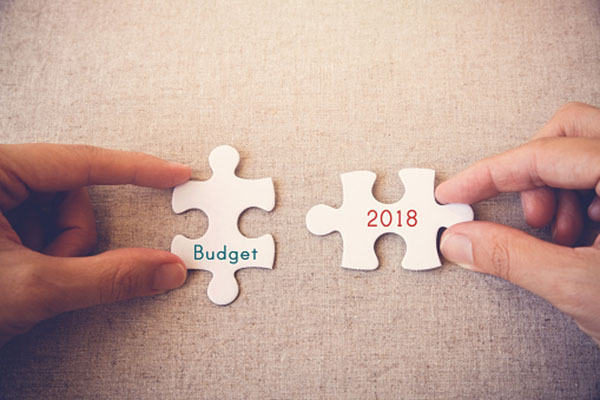 The Chancellor insisted that this shift away from austerity was possible due to the improving state of Government finances and forecasts from the Office for Budget Responsibility (OBR) confirmed this was the case. Indeed, OBR forecasts show that public borrowing for the current fiscal year is expected to be £11.6bn lower than it predicted in the Spring Statement and will fall to its lowest level in over 20 years by 2023–24. However, the OBR also noted that the Chancellor has effectively chosen to spend “the fiscal windfall rather than saving it“. And this could therefore store up potential future problems for Mr Hammond should the public finances take a turn for the worse. Indeed, the Institute for Fiscal Studies brandished the Budget “a bit of a gamble“. The latest forecasts from the OBR released alongside the Autumn Budget Statement suggest that the UK economy is set for a period of relatively subdued growth over the next five years. Since its previous forecast in March 2018, the OBR noted that the UK economy’s performance has been “less impressive” than expected and therefore revised down this year’s growth estimate from 1.5% to 1.3%. However, the independent body was slightly more optimistic about 2019 growth prospects, raising its forecast from 1.3% to 1.6% as it now believes the economy can sustain lower rates of unemployment than previously thought without, fuelling inflation. Growth forecasts for each year between 2020 and 2023 were all close to 1.5% and, overall, the OBR suggested that the big picture was one of “a relatively stable but unspectacular trajectory for economic growth“. The OBR also stated that its forecast was based on a smooth UK departure from the EU and reiterated that a more disorderly Brexit could have severe short-term economic implications. The latest growth statistics from the Office for National Statistics (ONS) appear to endorse the OBR’s economic assessment. The data shows that gross domestic product (GDP) rose by 0.7% between June and August buoyed by the warm weather and England’s strong World Cup performance. Indeed, this was the highest growth rate recorded since February 2017 and confirms that the economy did bounce back strongly following a weak spring. However, the data also suggests the economy ground to a halt in August, with the rate of GDP growth falling to 0%, down from a monthly rise of 0.4% in July. While the ONS does warn that monthly data can be volatile, some commentators have suggested that the August data is a sign of underlying economic weakness amid mounting concerns of a ‘no-deal’ Brexit. Stock markets rebounded during the last few days of the month, bringing some relief after a turbulent October. The unrest was fuelled by US trade tensions and worries about Italy, as well as concerns about corporate earnings growth peaking and ongoing global economic and Brexit-related uncertainties; all combining to weigh heavily on investor sentiment. The FTSE100 ended the month down 5.09% at 7,128.10. At its low point in October, the leading index dipped below 7,000 to 6,939.56 on October 26. In the last couple of days of the month, the FTSE regained some ground. On the 31st, the index hit a three-week high, with energy and financial stocks providing a boost, as investors concerns over slowing corporate earnings and Brexit eased. HSBC, the index’s second biggest company, rose nearly 5% on a better than expected increase in quarterly profits. 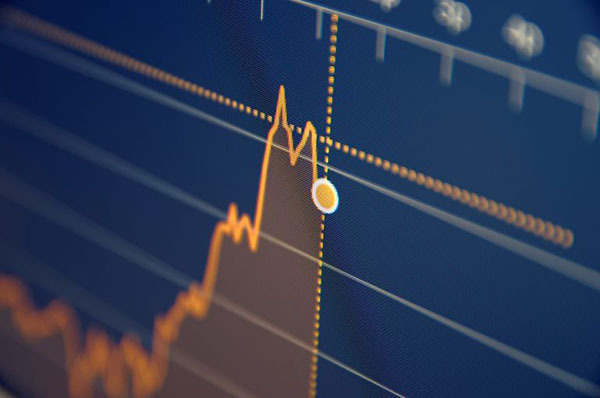 The mid-cap segment, home to more growth stocks, also struggled in the sell-off but the FTSE250 regained ground at the end of the month to close down 6.84% on 18,917.68. The Junior AIM ended the month down 11.17% on 975.81 and the Eurostoxx50 closed the month down 5.87% on 3,202.25. In Asia, Japan’s Nikkei225 finished October down 9.12% on 21,920.46. In the US, the Dow Jones closed the month on 25,115.76, a loss of 5.07% for the month, and the Nasdaq Composite lost 9.20% to finish October on 7,305.90, the tech-dominated index trading at levels last seen in April. Following sell-offs earlier in the month, US equities rallied at the tail end of the month as upbeat earnings numbers helped the US stock market find its feet again. On the foreign exchanges, sterling closed the month at $1.27 against the US dollar. The euro closed at €1.12 against sterling and at $1.13 against the US dollar. Gold posted a gain of 1.92% in October, to close the month on $1,214.43 a troy ounce, unrest in equity markets helped push the price higher. Brent crude closed the month lower at $76.39 a barrel, a loss of 7.65% for October. Oil prices fell in the month after a large increase in US stockpiles. UK workers saw their basic pay grow at the fastest rate in nearly 10 years during the summer months although, when adjusted for inflation, earnings are still lower than before the financial crisis a decade ago. According to the latest official data, average weekly earnings excluding bonuses rose by an annual rate of 3.1% in the three months to August 2018, the largest increase in pay growth since February 2009. This rate was higher than all forecasts in a poll of economists and appears to provide support for the Bank of England’s assertion that the long period of consistently weak wage growth may be coming to an end. Commenting on the figures David Freeman, head of labour market statistics at ONS said: “People’s regular monthly wage packets grew at their strongest rate in almost a decade but, allowing for inflation, the growth was much more subdued“. Indeed, after adjusting for inflation, the annual increase in earnings excluding bonuses was just 0.7% in real terms for the June–August period. Some economists have also warned that the current upward momentum may not be maintained as the recent pick-up has partly been driven by relatively high pay awards for some public sector workers following the loosening of the public-sector pay cap. In addition, the fact that 3.1% is the largest nominal pay rise in a decade is perhaps more a reflection of the weak wage growth profile of the past 10 years rather than an indication of strength now. This point is reinforced by data from the Annual Survey of Hours and Earnings recently released by ONS which shows real earnings remain 3.7% below the levels recorded in 2008. It will still therefore require a more significant acceleration in wage growth to close the pay gap that emerged over the last decade. A survey by the Confederation of British Industry (CBI) has reported a sharp fall in manufacturing new orders amid fears over the lack of clarity about how the UK will leave the EU. The latest quarterly CBI Industrial Trends Survey showed that factories scaled back investment plans in the quarter to October and expected growth to stall during the next quarter. Indeed, business optimism fell at the fastest pace since the EU referendum, while concerns that political and economic conditions would inhibit export orders during the next three months were at their highest level since the aftermath of the Brexit vote. Commenting on the results of the survey Rain Newton-Smith, CBI Chief Economist, said: “This is a sobering set of figures. Planned investment is being scaled back in the face of deepening Brexit uncertainty“. And Tom Crotty, Chair of the CBI Manufacturing Council, added: “Ongoing uncertainty around Brexit has made for a particularly tough quarter for the UK’s manufacturers. Manufacturers’ main priority for the coming months will continue to be for the Government to protect frictionless trade with the EU after Brexit“. With just five months to go until the UK leaves the EU, industry leaders are clearly concerned about the potentially dire consequences of a disorderly Brexit and, with the EU Summit in October again failing to achieve any breakthrough in negotiations, the chances of a ‘no-deal’ Brexit do seem to be increasing. Meanwhile, credit ratings agency Standard & Poor’s (S&P) is the latest organisation to warn of the significant dangers the UK economy will face if there is a disorderly Brexit. S&P has warned that a ‘no-deal’ Brexit would be likely to tip the UK into a recession that would last just as long as the downturn that followed the global financial crisis.